we thought we would help shed a little light on the situation as best we could. American Association of Veterinary Laboratory Diagnosticians. A: Circoviruses are small viruses that have been known to infect pigs and birds. They are also known to survive well in the environment once shed from affected animals. Porcine (pig) circoviruses are very common throughout the world. Porcine circovirus 2 can cause postweaning multisystemic wasting syndrome in 2-4 month old piglets, resulting in weight loss, poor growth and high death rates. Although porcine circoviruses were first identified more than 30 years ago, there is still much unknown about the viruses. Circovirus can also infect birds, causing beak and feather disease in psittacine birds (such as parrots, parakeets, budgies and cockatiels), infectious anemia in chickens, and deadly infections in pigeons, canaries and finches. A: There are many potential causes of vomiting and diarrhea, so the presence of these signs does not mean your dog is infected with circovirus. For example, vomiting and diarrhea can also result from infection with canine parvovirus, canine enteric coronavirus, Salmonella bacteria, canine distemper virus, Campylobacter bacteria, Clostridium perfringens enterotoxin A gene bacteria, and Cryptosporidium and Giardia species (both of which are single-celled parasites). Even a simple “dietary indiscretion,” such as getting into the garbage or overeating fat rich foods or treats, can result in vomiting and diarrhea. Not all of these problems are life-threatening, and many cases of diarrhea and vomiting resolve with simple treatment. vomiting and diarrhea, regardless of the cause, gives your dog a better chance of a quick recovery and can also cost you less in the long run – delaying veterinary care can mean that your veterinarian has to treat a dog that’s much more sick than he/she would have been if seen earlier, and that costs more. 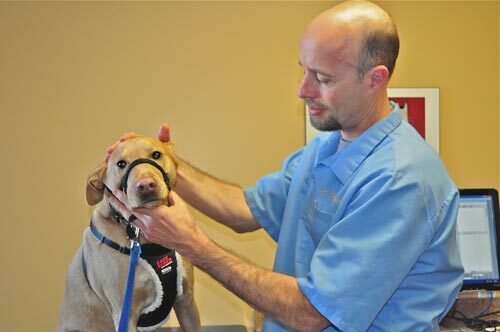 In the small number of cases so far, prompt veterinary treatment was critical to a good outcome for that dog.